NASCAR’s a funny old sport when you think about it. While the whole four wheels thing can be a little bit of a turn-off, I’d be lying if I told you that I didn’t get a buzz out of all forms of motor racing – no matter how many wheels are involved. While any form of racing that involves a Toyota Camry painted with a rainbow M&M’s motif should ring alarm bells in any adult who’s not tripping balls, the whole gladiatorial angle really appeals. And clearly, I’m not alone. 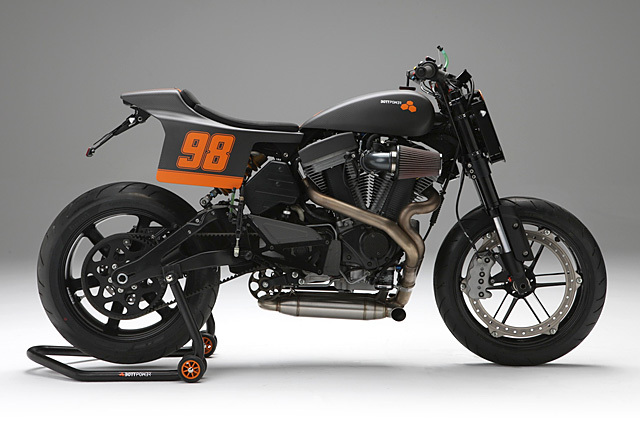 See, Spain’s Bottpower and their chief engineer David Sánchez have come out in support of the old ring o’ noise with a bike built for NASCAR driver and ex-World Superbike racer Eric De Doncker.